Polo Estates homes are located in the beach community of Del Mar, California. This is a very small gated community that is home to 10 luxury homes located on one small cul-de-sac street. The large estate homes were built in the mid 1980's and feature properties that range in size from 3,465 to 4,500 square feet of living space. This is an ideal location near the 5 freeway and the Del Mar Race Track. The Polo Estates community is under a homeowners association with monthly dues of approximately $400.00 a month which includes the gated entrance. There is a nice selection of Mediterranean and Contemporary style homes located here with select homes offering views of the Del Mar polo fields and Fairbanks Ranch golf course. 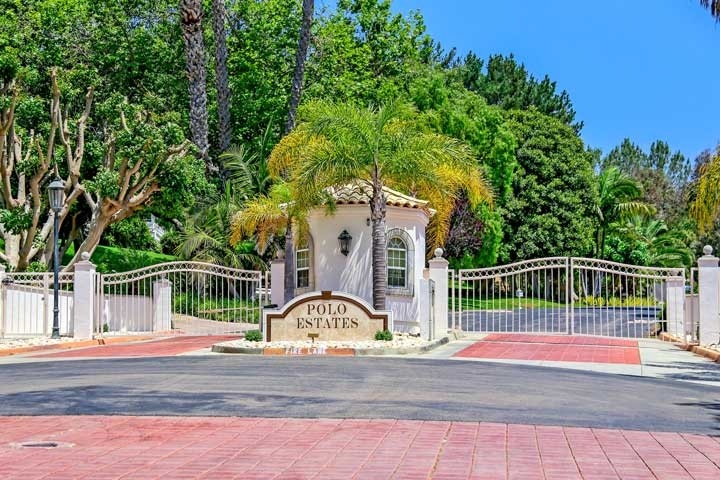 Below are all of the current available Polo Estates homes for sale and for lease in Del Mar. Please contact us at 888-990-7111 with questions regading this community and any of the homes listed for sale here.